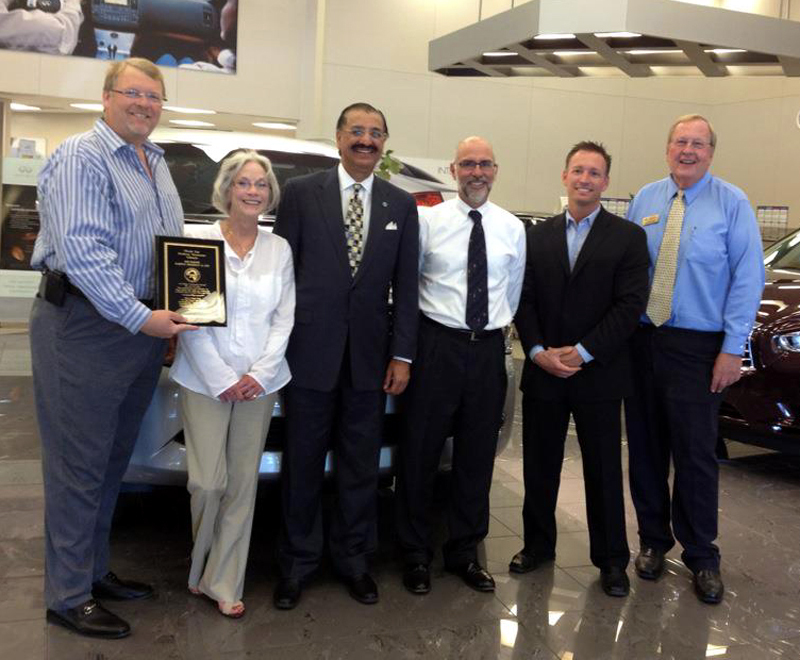 Santa Clarita Mayor Frank Ferry (left), City Manager Ken Pulskamp (white shirt) and Assistant City Manager Ken Striplin thank Parkway Dealership CEO Bob Bakshi for his commitment to Santa Clarita. Bakshi has been the primary sponsor of the Santa Clarita Marathon, Concerts In the Park series and the annual Newhall Community Center Thanksgiving dinner. Bakshi’s Parkway dealerships in Valencia include GMC, Hyundai, Cadillac, Volkswagen and Infiniti.